I recently got to test a sized, fitted diaper for Licorice Lane. 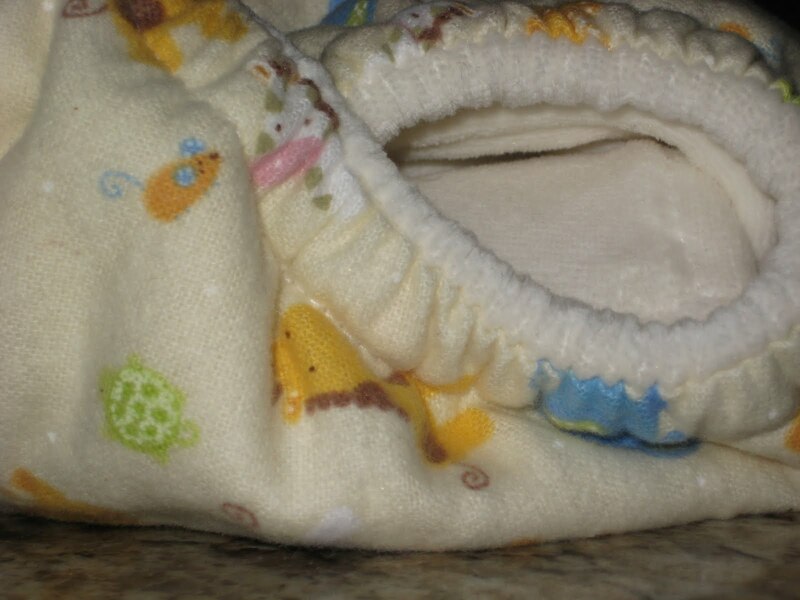 The owner makes baby leggings, blankets, hats, booties and lounge pants, but has just recently gotten into diaper making. She used them on her own child, as well as friend’s children, but needed feedback from more mamas with different age babies, different sizes, wetting habits and so forth. What made testing for Licorice Lane especially fun was that she was truly looking for honest feedback to make a better product that would work for more families. She wasn’t just looking for pats on the back! I paid a small sum (as did all testers) to cover shipping, and a portion of the materials. The diaper came quickly. This is a sized, medium diaper, so I was pleasantly surprised to see that it also had a fold down rise with an extra set of snaps. The mediums are supposed to fit 15-25 pounds, but I imagine they could fit a much smaller baby with the fold down rise. 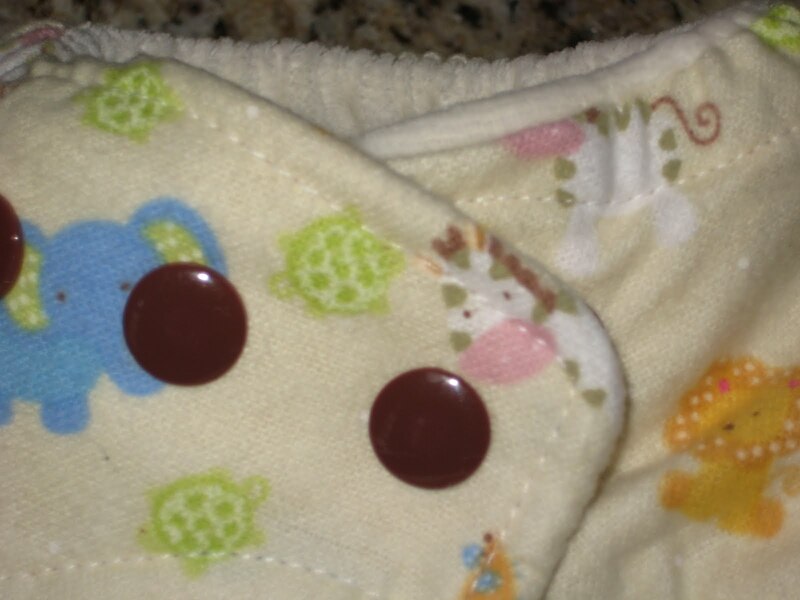 The diaper is made with a cotton flannel outer, a hidden layer of French terry, and a cotton velour inner. She is working on a few soaker styles, so testers received different ones. Mine was 2 layers of French terry and 2 layers of cotton velour. Overall, the quality of construction and stitching were good. 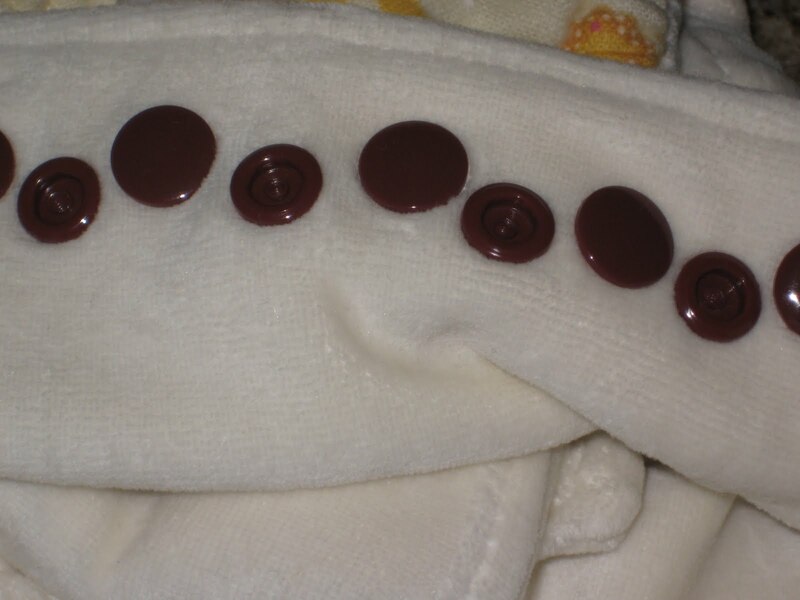 I had to really scrutinize it to find a couple places where the stitching could potentially be a smidge straighter. Still much better than many WAHM products I’ve seen. My personal preference would be to have the overall diaper be a bit larger. Slightly longer wings, slightly wider crotch and slightly larger diaper overall. However, I realize that I’m just trying to turn it into a one size fitted, LOL. She did say that she may work on a one size in the future. Here is the Licorice Lane medium in comparison to my favorite one size fitted. I felt the soaker was a tiny bit wide for the diaper, but she was trying several soaker styles in her testers. I prefer it hit him a bit higher on the belly. Just what I’m used to I suppose. If you notice the gap at his right thigh, I had a bit of trouble fitting the diaper. It’s as if I needed snaps where there weren’t any. 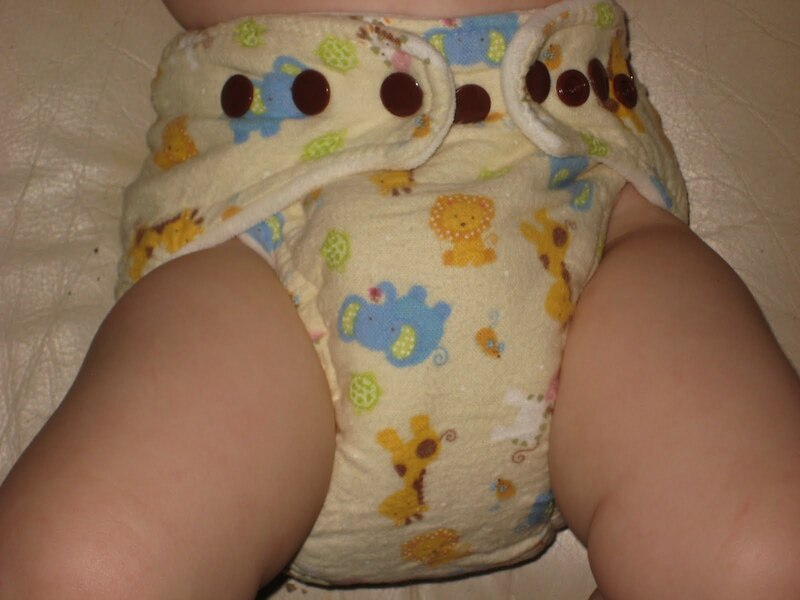 Pulling the diaper to the overlap snap was too tight. 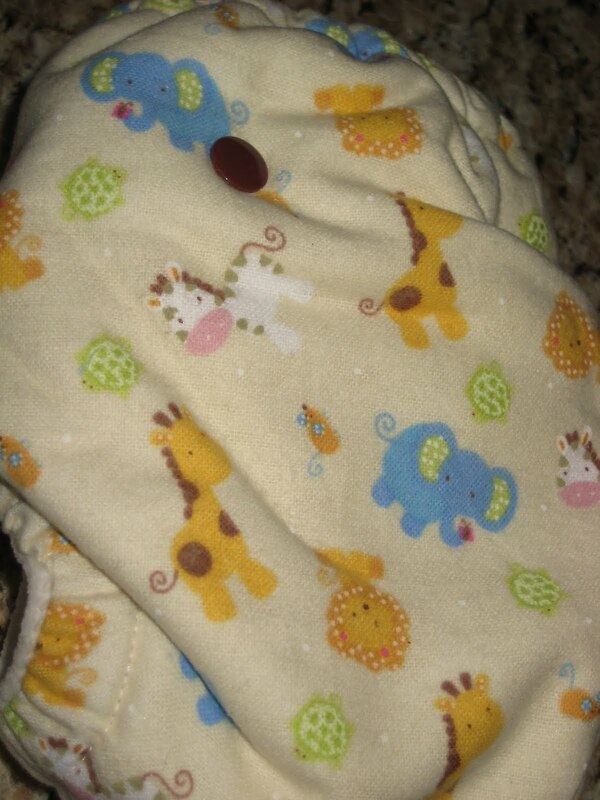 If I got the outer snaps where they needed to be to make the diaper snug, there was one snap just hanging out. I ended up just leaving the middle snap of that wing undone, and it worked just fine. One reason I really enjoyed testing for Licorice Lane is that Brooke looked at the pictures, thought it over and tried to come up with ways to solve this. I think I just needed a snap where there wasn’t one. Or, it could just be operator error. Wouldn’t be the first time! Babyish prints aren’t really my favorite, but this was very cute. 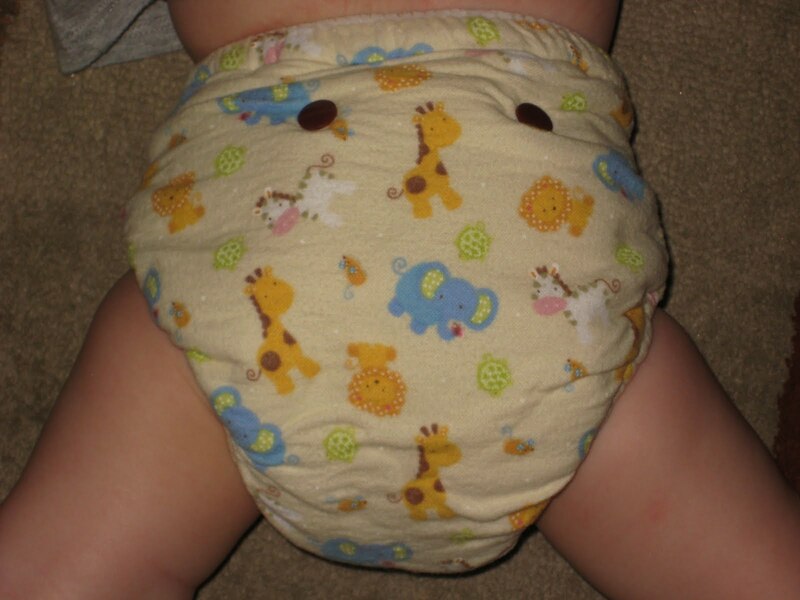 This is a fitted diaper, so the whole diaper is absorbent, and it needs a cover to be waterproof. I know from experience that this soaker style (especially a single with no doubler) doesn’t work well for us coverless. Still, I wanted to test it out. As I expected, when he wet it, it was soaked right though. When I tried it again with our Flip Cover over it, it worked wonderfully, The diaper was able to absorb more throughout, instead of just soaking through the wetzone. I do still prefer a 2 petal style soaker with an added doubler. I realize that I am comparing/trying to turn this into my favorite fitted, but really, if I am buying/shopping for a fitted, that’s what I am going to be using as my benchmark! Licorice Lane was just wonderful to test for. She was receptive to my suggestions and preferences, summarized to make sure she understood all of my input, and sincerely thanked me. As a tester, I know that other Mamas may have other ideas and preferences, and she can’t please everyone. Therefore, her fitteds might not end up being what works for me. However, the feeling I got from testing for her makes me very willing to try another diaper after tweaks, or any other products from Licorice Lane! Right now, the Licorice Lane store is set to open on May 1st, though that may change! Edit August 2010: Since fitted diapers aren’t my favorite, I passed this along to someone who could better use it. >Hi..I’m Barb from Fri. Follow. I am your newest follower. I hope you will get a chance to visit my blog @ santasgiftshoppe.blogspot.com& get inspired by something for your family/home. I hope you will follow me as well. >Thanks for stopping by my blog and following! I'm following you now! >Cute Diaper!!! I’m another new follower! Feel free to check out my blog as well! http://heavenlysavings.blogspot.comHappy Friday Follow! Hope to Blog with you again soon! >Those are really cute!! If we ever have another baby, I may have to look into these! !Visiting you from the FF! Hope you'll come visit me too! >I will have to pass this info along to my daughter-in-law. Our grandbaby is 7 months old and she will think these are cool. Happy Friday Follow!